• Evidence for current treatment options for interstitial pneumonia, idiopathic pulmonary fibrosis, and smoking-related interstitial lung diseases. 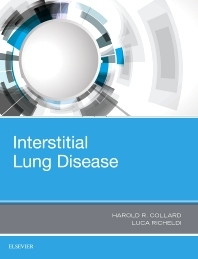 • Approach to diagnosis of interstitial lung diseases, such as sarcoidosis, hypersensitivity pneumonitis, and Churg-Strauss syndrome. • Genetic markers for inherited interstitial lung diseases such as dyskeratosis congenita, tuberous sclerosis/LAM, and hyper-IgE syndrome.